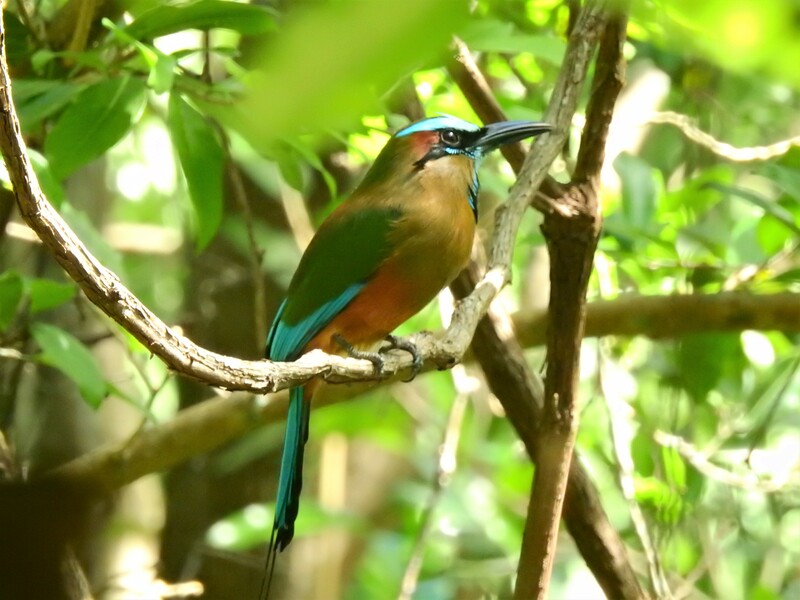 The Turquoise-browed Motmot (Eumomota superciliosa) is a colorful, medium-sized bird of the Motmot family, Momotidae. It inhabits Central America from south-east Mexico (mostly the Yucatán Peninsula) to Costa Rica, where it is common and not considered threatened. It lives in fairly open habitats such as forest edge, gallery forest, and scrubland. It is more conspicuous than other Motmots, often perching in the open on wires and fences. From these perches, it scans for prey, such as insects and small reptiles. 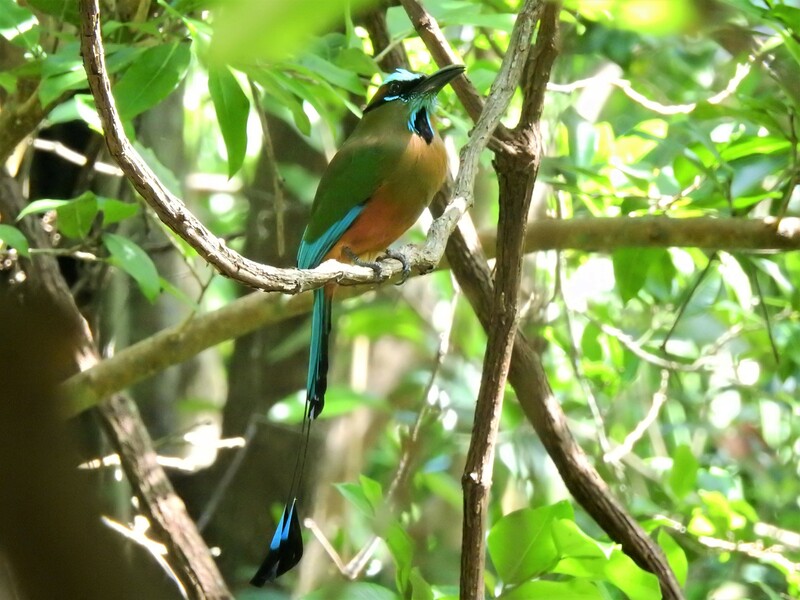 Studies have shown that Motmots move their tail back and forth in a wag-display when they detect predators and that the display is likely to communicate that the Motmot is aware of the predator and is prepared to escape. Males apparently use their tail as a sexual signal, males with longer tails have the best pairing and reproductive success. 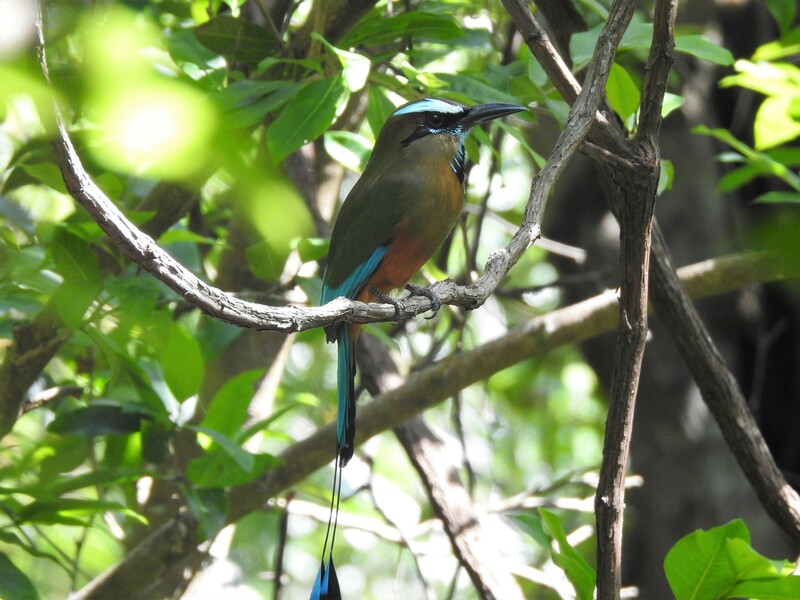 The Turquoise-browed Motmot has some other names, in El Salvador, it is called Torogoz, and in Nicaragua, it is called Guardabarranco. It has been known that Motmots live somewhere between 12 to 14 years. 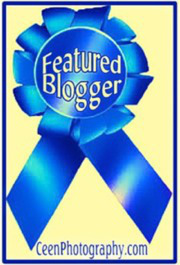 This entry was posted in Birding. Tagged Birding, Birds, Mexico, Wildlife. What a spectacular bird. It is hard to believe they could live so long.